Daddy's little girl. Whenever she needed a space on her own, she will keep herself drowned with amazing books accompanied by Jericho and Mckenzie, the catch-eye. It is basically a box consists of various beauty products, selected from popular barnds such as Murad, Elianto, Clinelle etc. Basically, upon registration page, you will be directed to a survey page, where you need to answer a few questions regarding your preferences in beauty products, skin types and many more. Try to answer this question seriously as they will choose the item based on your answers during the survey. 2. L'oreal Professional Liss Ultime Masque (Retail price RM67/200ML), for unmanageable, frizzy hair. Looking through the items they gave to me, I think that the price I paid for this was worth it. For RM 39.90, I can get all this and not forgot to mention the packaging is super adorable. tehee. The contents may vary every month. I like surprises! You tried to save everyone, but who saves you? 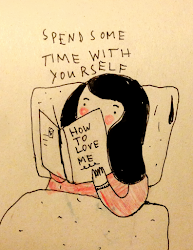 Spend some time with yourself. Photographer&Driver, Lady in Baju Kurung, Model and another one is the planner of the day. How am I going to describe this indescribable feeling? All right reserved.Chihiro. Simple theme. Powered by Blogger.